Dustin Byfuglien tips the puck past Jeff Deslauriers in the second period. There are many reasons the Blackhawks are challenging for the best record in the NHL this year. From the looks of it on Tuesday night, there are just as many reasons why the Oilers are sweeping up the basement. When this marathon, eight-game road trip began, the Blackhawks’ goal was to come home with at least eight points in hand. With their 4-2 victory in Edmonton, not only did the Hawks assure the point goal was achieved, but they appropriately warmed up for perhaps the biggest game on the entire NHL regular season calendar in San Jose on Thursday evening. It took only 44 seconds and one shot, a laser from Jonathan Toews, to stake the Hawks to the lead. 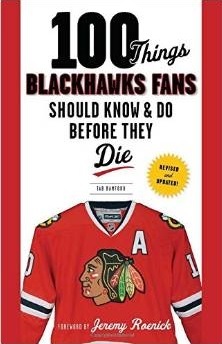 From there, the questions became how many goals the Blackhawks could score, and who would put the puck in the net. Despite dominating the action on both ends of the ice throughout the first period, though, the Hawks went to the dressing room up only 1-0. That would change quickly, though. Just under six minutes into the second period, on a second gorgeous assist from Patrick Kane, Troy Brouwer put in his 15th goal of the season to extend the advantage. A little more than four minutes later, Dustin Byfuglien tipped in a Duncan Keith missile his first goal of the trip, the first from the Hawks’ third line in the past five games. After a Shawn Horcuff hooking penalty, once again within four minutes of Byfuglien’s goal, it was Marian Hossa adding to the score with a great one-timer on the power play to put the Blackhawks ahead 4-0. The game appeared to be over. Credit the Oilers for continuing to fight, though. Fernando Pisani finally got Edmonton on the board with only 40 seconds left in the second, giving the Oilers a hint of momentum heading to the third. When Ryan Potulny scored off a bad turnover behind the net by Niklas Hjalmarsson, the Oilers started to feel a little bit of confidence. When Keith was called for hooking at 7:49, the Oilers looked to attack and get back into the game. However, there are reasons the Oilers have won one of their last 19 games. On the drop right after Keith’s penalty, just two seconds on the clock after Keith went to the box, Patrick O’Sullivan was called for a high stick. The power play was over, as were the chances of the Oilers getting back into the game. The excitement was gone until Cristobal Huet made an incredible save with less than 20 seconds left in the game, putting an exclamation point on a solid performance in his return to the net as the Hawks’ starter. Huet stopped 22 of 24 shots on the night, a solid performance after a rough stretch. Hopefully his confidence will carry over 48 hours into San Jose. Keith had another excellent night, being credited with two assists, one hit, two takeaways and was +3 on the night. Kane also had two assists in the game. The only ugly spot on the box score for the Blackhawks was the second defensive line, where Brian Campbell was -1 and Niklas Hjalmarsson was -2 for the night; each was credited with three blocked shots, however, and Campbell’s 25:22 led the team in ice time for the game. 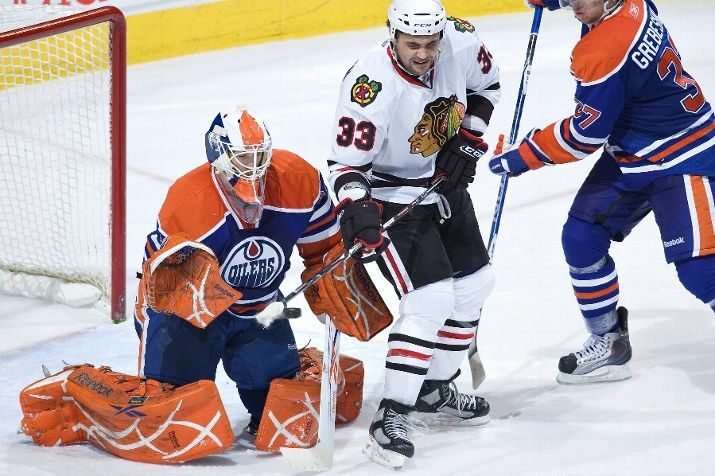 The Hawks defense was solid, as usual, on the PK, killing the Oilers’ only opportunity of the night. On the road trip, the Hawks have only allowed two power play goals in 16 chances for their opponents.